SpEd Tricks and Treats - All Things Special Ed. 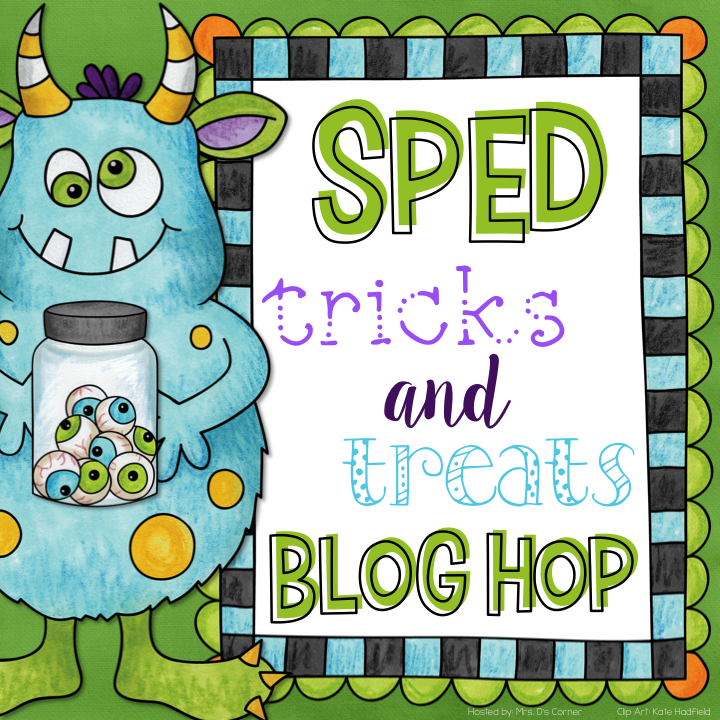 Welcome to SPED Tricks and Treats Blog Hop! 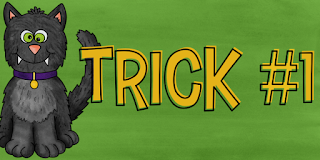 We hope you can learn a few classroom tricks and find many treats along the way on the! 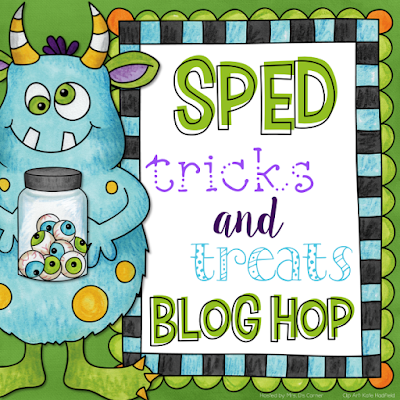 When you are done on my page, make sure you follow the directions to hop over to the next blogger so you can learn more tricks and get more treats! My trick I want to share with you is about organizing all those little pec pictures you have laying around. I have finally found an organization system that is simple and easy. I found a craft organizer (or you can pick up a nail/screw orgainzer at your local Home Depot or home improvement store). I labeled the drawers with my label maker and put all those pecs away. Now my Para's can go find what they need and I have a little white basket laying out to file ones we don't need anymore. Voila- organized and fast to find, fast to put away! I labeled my drawers the following: calendar, feelings, food, health, home, leisure, people, clothes, numbers, places, math, letters, break time, school supplies, games, toys, verbs, school, sensory, and social. I have a few drawers not labeled with random picture items too. I hope that will help you out in your search of finding a better way to stay organized with all those tiny pictures!! Now it is time to grab my freebie. It is my super cute "Pumpkin Adapted Life Cycle" book with vocabulary/sequencing cards. It also comes with 2 versions of the pumpkin life cycle worksheet. 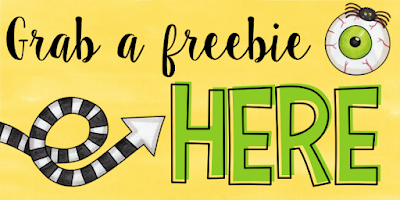 Click on the picture below to stop by my store and pick up this freebie today! 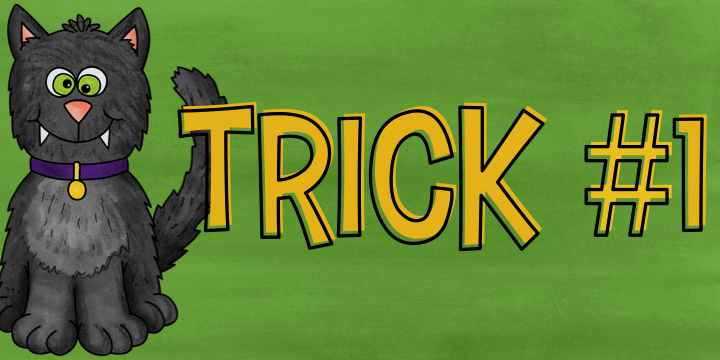 Now hop on over to You Aut-a Know to find out what kind of Tricks and Treats Erin has for you! Click the picture below. I'm teaching sequencing this week-- perfect timing! Thanks! I like the idea of using some sort of labeled organizer for PECs, great tip! Great organizing idea and freebie!! Thank you! Love the pumpkin life cycle! Thanks so much for sharing! Loving the freebies! These are perfect for this week! Thanks! I'm always looking for ways to organize better. Thanks for the tip.